Social media, is here to stay. And Instagram is right at the centre of it. Whether you love or hate the platform, it is hard to deny the power of a social media channel where you have a reach of a billion people. 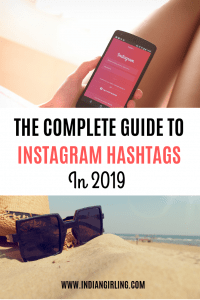 As instagram hashtags are at the core of the platform, it is extremely important to know why you should use hashtags for instagram, where and how to find the right hashtags for your account, and how exactly to use them. Where can you find Instagram Hashtags? How many types of Instagram hashtags exist? How should you pick the right hashtags? #1 Find the range of hashtags you fall in. #2 Identify related and trending hashtags. Although, there may be a small chunk of popular Instagram accounts that grew without using any hashtags whatsoever, that number is indeed low. Not unless your second name is Kardashian. Instagram posts are ranked and searched using hashtags. If you aren’t using any, you cannot be found by anyone other than people who already follow you, no matter how amazing your content is. Using popular hashtags can get you in the “top section” of the hashtag search which is as far as you can get for free Instagram marketing. Engagement is directly linked to the hashtags you use. This means the more relevant hashtags you use for your posts, the more likes, followers and comments you open yourself to. One of the most painful aspects of being an Instagrammer are having to spend time looking for popular hashtags. You can however make this part slight easier by using tools and some productivity short cuts. One such hashtag generator tool for comparing hashtag strength and popularity is Hashtagify. You can simply type the caption you would like to write for Instagram and the tool will provide you suggestions and analytics. Another excellent tool that also doubles up as an Instagram scheduler, is Tailwind’s Hashtag Finder. The only thing you need to do is sign up for a free account, that allows you 30 free Instagram scheduling options and save up sets of hashtags or even add suggestions for your post on the go. Hashtags tend to fall into various categories. Popular ones include branded hashtags, campaign hashtags, community hashtags, location hashtags and category hashtags. Instagram users tend to make popular hashtags such as #ootd, #tbt , #nature, #cute, #beautiful, #photooftheday etc which are generic and may have millions of people following them. Branded hashtags tend to belong to the brands they represent. Depending on who and what you want to tag, it may be worthwhile to use a few of them. Campaign hashtags are specific to contests and giveaways. Users and companies alike spread them to check the entries and impact of marketing campaigns. Community hashtags often represent accounts that often for free feature upcoming Instagram accounts. Popular hashtags in this category include #topeuropephoto, #girlslovetravel, #dametraveler, etc. Location hashtags are exactly what they sound like. Category hashtags are specific to the type of blogger who is posting. It could range from photography, travel, food, art, comics, luxury, architecture, fashion, etc. The most important thing to identify when you are trying to grow your Instagram account is to figure out the reach of the hashtags you use. For example, if you are a new blogger with less than 5000 followers, the chances for you ending up in top posts with a hashtag with 1 million posts is extremely unlikely. The chances of you ending up in top posts of a hashtag with 50,000 posts is however much more likely. Identify 10-15 such hashtags with a mixed reach of 5-10x the number of followers you have. Anything more, and you’re likely shooting for the moon. A quick way to identify new hashtags for your account are by searching directly and making a note of related hashtags with your ideal reach. When you click through on a certain hashtag, instagram often gives you a series of suggestions, note them down and how popular they are. You may start with one hashtag and end up in a loop 30 hashtags later, but in this process you would have identified which ones are most helpful for growing your account. I recommend doing this exercise at the beginning of every month so you stay on the top! This is common knowledge, but needs a reminder. Find accounts which have a higher reach than you and where you’d like to be and note down the hashtags they use. If you are short of time and cannot follow step #1 & #2, just see which posts of your competitor are doing extremely well and the type of hashtags they use for the same. A mix of various hashtags depending on what you want to highlight in your post. For example, a few category and location hashtags often make a good mix. At least 2-3 hashtags that include community accounts for the chance to get featured and get free advertising. Experiment with the number that works best for your account. This can be anything from 3-30. Every one has a unique experience, so keep mixing and matching, and find what is an ideal number for you! 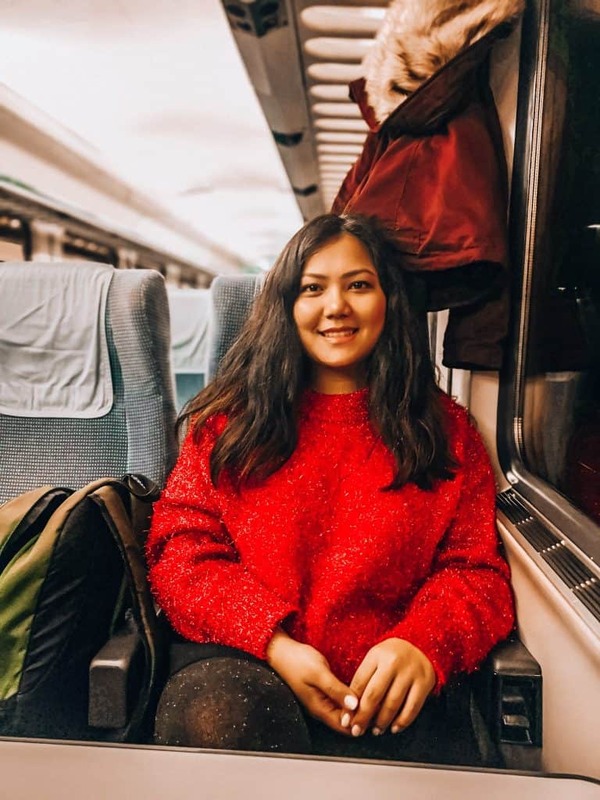 As I have a travel blog and an Instagram that revolves around travel, I have already done a bunch of the work for you! Use a business account and track the best time for posting content to post new photos. Use Instagram stories and add location hashtags to get discovered by new people. Use a consistent theme, layout and niche for your Instagram account. After all, it is a visual discovery platform for a reason. Don’t be afraid to experiment with the number of hashtags, number of times to post and different themes. Make sure to update your instagram hashtags list once every month so you are at the top of what’s trending! If you liked this post, you may also want to read 5 Social Media Tips To Explode Your Blog & Brand.